Önizleme boyutu: 800 × 600 piksel. Diğer çözünürlükleri: 320 × 240 piksel | 640 × 480 piksel | 1.024 × 768 piksel | 1.280 × 960 piksel | 3.558 × 2.668 piksel. Bu resim, Azerice Vikipedi'de (Seçilmiş şəkillər) seçkin resim dosyasıdır ve en iyi resimlerden biri olarak seçilmiştir . Bu resim, Hırvatça Vikipedi'de (Slika tjedna) seçkin resim dosyasıdır ve en iyi resimlerden biri olarak seçilmiştir . English: Statue of Liberty (more formally, Liberty Enlightening the World, and more colloquially, Lady Liberty) is a structure located on Liberty Island in New York Harbor, presented to the United States on the centennial of the signing of the American Declaration of Independence as a gift from France. It was designed by Frédéric Bartholdi and gets its green coloring from patination of the outer copper covering. 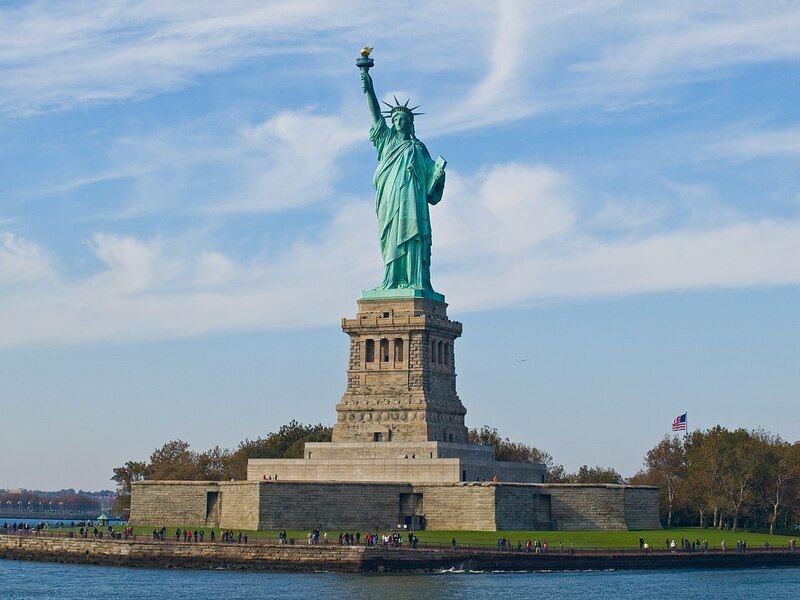 The statue is world-renowned for being the first thing sea-borne visitors, immigrants, and returning Americans see upon entering New York Harbor and has been known as a beacon of freedom to much of the world. It earned UNESCO World Heritage Site status in 1984. This image, which was originally posted to Flickr, was uploaded to Commons using Flickr upload bot on 16 Eylül 2008, 21:40 by Avala. On that date, it was confirmed to be licensed under the terms of the license indicated.